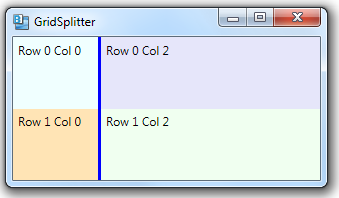 Rows and columns in a Grid don’t normally change their size at runtime, unless the content of the Grid changes. 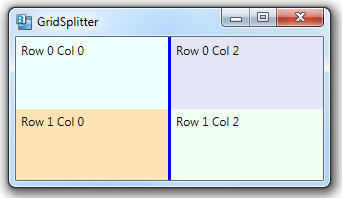 But you can allow a user to change the size of rows or columns by using a GridSplitter element. You typically place a GridSplitter in its own row or column. 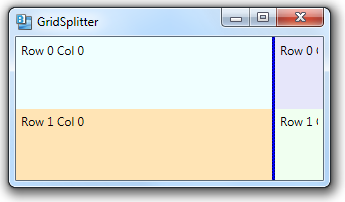 In the example below, the middle column contains a blue GridSplitter. At runtime, a user can click and drag on this element to change the relative sizes of columns 0 and 2. <GridSplitter Grid.Column="1" Grid.RowSpan="2" Width="3" Background="Blue"